US-based Masimo has obtained CE Mark approval for its O3 regional oximetry for the Root patient monitoring and connectivity platform. The O3 regional oximetry uses near-infrared spectroscopy (NIRS) in a Masimo Open Connect or MOC-9 module with up to two sensors per MOC-9 module. Each sensor features four light-emitting diodes and two detectors for continuously and simultaneously measuring both tissue oxygen saturation (rSO2) and arterial blood oxygenation (SpO2). Root is a new patient monitoring platform that integrates the company’s rainbow and SET measurements with multiple additional parameters in an integrated, clinician-centric platform. Root allows either one or two O3 MOC-9 modules to be connected, enabling monitoring with as few as one and as many as four sensors. According to the company, its O3 regional oximetry enables clinicians to detect regional hypoxemia that pulse oximetry alone can miss. Additionally, the onboard pulse oximetry capability of O3 sensors can automate the differential analysis of regional to central oxygen saturation. O3 regional oximetry sensors are applied to the forehead and connected the O3 MOC-9 module to any Root through one of its three MOC-9 ports for monitoring O3. Currently, O3 regional oximetry is intended for use in subjects larger than 40kg (88lbs). Root offers multiple high-impact innovations for broad application across the continuum of care. It featured an instantly interpretable, intuitive-navigation touchscreen display. The SedLine brain function monitoring MOC-9 module advances neuromonitoring to improve the care of patients under anesthesia or sedation. 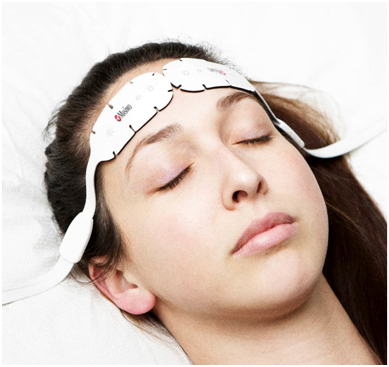 The core product is an EEG-based brain function monitor utilizing four simultaneous EEG channels. Root features Iris for built-in connectivity gateway for standalone devices such as IV pumps, ventilators, hospital beds, and other patient monitors. It has MyView for automatic display of parameters, waveforms, and viewing configuration based on the clinician’s preference and presence. Masimo CEO and founder Joe Kiani noted O3 regional oximetry delivers again on the company’s mission to improve patient outcomes and reduce cost of care by taking noninvasive monitoring to new sites and applications. "We look forward to partnering with key hospitals around the world to demonstrate O3’s technical and clinical advantages," Kiani added. O3 regional oximetry is yet to receive the US Food and Drug Administration (FDA) approval. Image: Masimo O3 sensors enable simultaneous measurement of rSO2 and SpO2. Photo: Courtesy of Masimo Corporation.